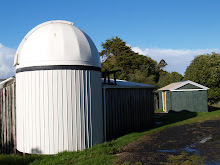 Kumeu Observatory Log: Impromptu Star Party! After such a long period of there being few visitors up to the Kumeu site, a clear, dark night brought quite a few visitors out to the site tonight - with the end result being a great night of viewing both in the dome, and outside. In the dome, Jonathan tested out auto-saved exposures through MaximDL, capturing a whole series of exposures and (and changing the filter wheel - though Jonathan did this manually on Friday) using an automated routine. 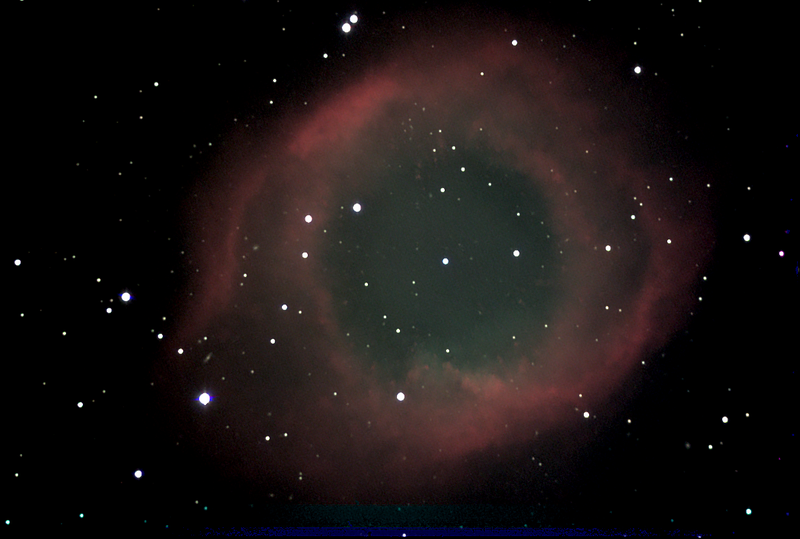 Target for tonight was the Helix Nebula NGC7293, a planetery nebula located in Aquarius a little under 700ly away. Outside the dome Alastair had his 16" Binoscope up and running - and the views through it were simply magnificent. The detail and immersive nature of seeing familiar objects such as 74Tuc, Tarantuala and the Orion Nebula in "stereo" was really something else and was frankly mindblowing! Another member had an 18" dob out hunting for faint galaxies and a pair of keen new members came along with their 8" Astronz dobsonian enjoying the dark skies and good company.